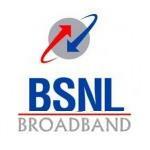 Bharat Sanchar Nigam Ltd has withdrawn 2 BroadBand Plans and upgraded 3 Broadband plans. The 2 plans which are withdrawn by BSNL are BB Home Combo ULF 1100 and BBG Combo 1999. The one’s who are already using these plans can continue to use the same plan but these 2 plans are now no longer available for new customers. The Broadband plans which BSNL upgraded are – BB Home Combo ULF 900, BB Home Combo ULF 1000 and BB Home Combo ULF 1350.